When trying to maintain a beard, men keep everything from hand-cut combs and brushes to electric trimmers and hair clippers. One item that all too often is forgotten in the grooming toolkit is beard oil. For most men trying to grow a beard for the first time, using oil may seem weird and feminine in nature. The truth, however, is that ladies are not the only people who use conditioners and oils to keep their hair looking great. Applying beard oil on the face is one of the daily rituals of the urban beard man’s routine. This trend is increasingly becoming popular and with good reason. But the big question to men who find this to be an unusual grooming habit is, why use beard oil? Well, there are many benefits of applying oil to a beard. In general, beard oil serves both a functional and aesthetic role. To expand on these purposes further, here are a few pointers that explain the positive effects of using beard oil. One of the biggest misconceptions of using beard oil is that it helps facial hair grow faster or in areas that were previously bald. However, what this oil does is simply provide a healthy environment that allows you to grow the maximum amount of facial hair that you can genetically obtain. Much of this can be attributed to the ingredients used in formulating oils meant for beard care. Beard oil is usually manufactured from natural ingredients like jojoba, castor, and almond oil. The chemical composition of these natural oils is similar to the body oils produced by sebaceous glands of the skin. Some beard oils are enriched with nutrients considered helpful in maintaining the beard’s healthful appearance, such as vitamin E. As a result, beard oil gets deep into the roots of hair follicles, making it possible to grow a healthy beard. Beard oil acts as a conditioner to the skin and hair. It hydrates the skin and root follicles, thus preventing hair from growing dry and brittle. This explains why beards become shiny and feel soft when moisturized with oil. 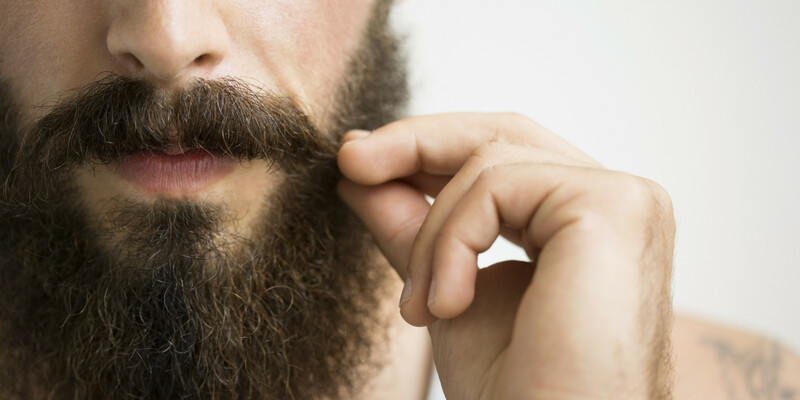 Beards usually have a rougher texture than hair found on any other part of the body. Facial hair also wicks away moisture from the skin, especially in cold weather conditions. This leaves you with dry, flaky skin and a hard, brittle beard that is difficult to maintain. With a little bit of hydration from beard oil, you can prevent flaking, dandruffs, and skin dryness. Some beard oil ingredients have anti-inflammatory properties as well, soothing irritation and itchiness that most men experience after trimming their beards. Because beard oil softens the texture of facial hair, it can be considered as a grooming tool. Applying some oil to your beard will make it soft and easy to comb. As a result, you can have a neat and smooth beard that is more manageable and tangle free. Many beard oils provide the added benefit of smelling good. This is made possible by the addition of essential oils. The fragrances that these oils emit are considered masculine in nature, some of which include citrus, cedarwood, peppercorn, and sandalwood. If you love to smell just as good as you look, then think of beard oil as cologne. Your beard and significant other will thank you for applying a few dabs of scented oil on the face. There are two main types of beard oil, which include carrier and essential oils. As mentioned earlier, essential oils are scented. They also act as the active ingredients because of their special properties that benefit facial skin and hair. Essential oils are often combined with carrier oils since they can cause skin irritation or chemical burns when used in a concentrated form. Consequently, carrier oils make the bulk of beard oil formulations since they’re used to neutralize or dilute the strength of other oils. A few examples of carrier or base oils that you may see on beard oil labels include argon, coconut, saffron, grape seed, and jojoba. Whether you’re trying to maintain a short stubble or full-grown mane, using some beard oil will make your grooming efforts easier. Not only does beard oil hydrate, condition, and leave your beard smelling good, it promotes overall healthy growth. What’s more, it can help when facing issues of itchiness, flakiness, or dry skin while maintaining a beard. With all of these benefits, it goes without saying that any grooming toolkit is incomplete without some beard oil.